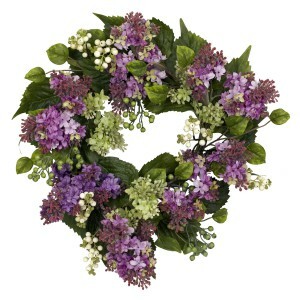 A circle of springtime delight – that’s what we have here! 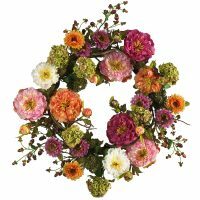 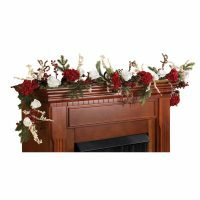 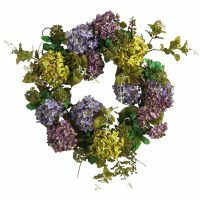 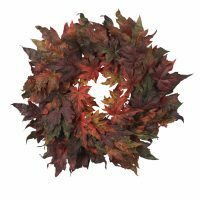 Literally an explosion of colors and textures, this Lilac wreath combines beautiful Hanel Lilac blooms in various colors/stages of maturity, berries, and verdant leaves, all woven together in ring of beauty that never ends! At 20″, it’s also the perfect size for almost any room that needs a little sunshine.